WiFi signals spread out from the router like ripples in a pond when you’ve thrown in a stone. If your router is on a windowsill at the front of the house then you’re already sending much of the signal outside. If you live in a block of flats then some will be going to your neighbours as much as to your bedroom. Every door and wall the signal must pass through will weaken the signal, and sometimes simply placing the router in a better place isn’t enough. 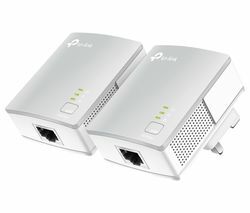 This is where a powerline adapter can be a cheap and efficient way to increase connectivity throughout. A simple powerline adapter will send your network connection through the electrical circuit in your house, turning regular plug sockets into internet access points, thus extending the signal throughout your home. Powerline starter kits can be bought for under £30, making it a great value solution if you need a stronger signal around the house. The Devolo powerline range has everything from powerline adapter starter kits to super high speed gigabit sets with WiFi adapters. 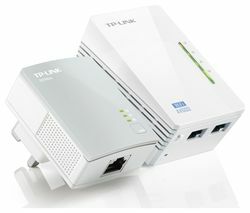 You can choose to extend your network around your home with wired connections, or use the WiFi adapters for wireless use. If your property is smaller and you don’t have the need to create a powerline, then one of our Wifi range extenders will work just fine. Connecting to your WiFi signal and boosting it around your home will get rid of WiFi black spots and give you a seamless connection. Whether your WiFi signal needs to reach round a country estate or a family home, our range of extenders and powerlines can make buffering a thing of the past.